John B. Patterson, a board certified civil trial lawyer with the law firm of Balkan & Patterson, LLP, has been elected and installed as president of the Deerfield Beach Rotary Club. Mr. Patterson has been a member of the rotary club for six years. His most recent role with the rotary club was vice president, which he held for a year. He has previously held the roles of treasurer and secretary of the rotary club. In addition to being an active member of the Deerfield Beach and Lighthouse Point communities, he is a member of the South Palm Beach County Bar Association, The Florida Bar and the Million Dollar Advocates Forum. 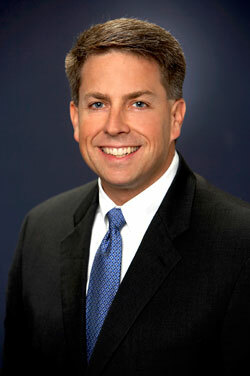 Additionally, he is a member of The National Trial Lawyers, which recognizes the top 100 trial attorneys in each state. Mr. Patterson is listed in Who’s Who in American Law, is a Florida Super Lawyer and has been recognized by Florida Trend Magazine as a South Florida Legal Elite. As a native to South Florida, Mr. Patterson obtained his law degree from Nova Southeastern University.